Requires Mac OS X v. 10.4.3 or later. 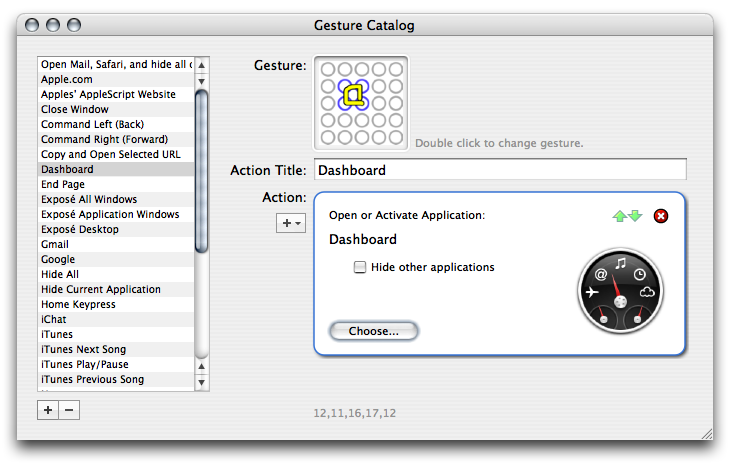 FlyGesture works a lot like Automator. You can create a single action, or chains of actions to be invoked by the simple movements of your mouse. FlyGesture is activated like Exposé or Dashboard, bringing up a transparent window of "guides" to move your mouse through. 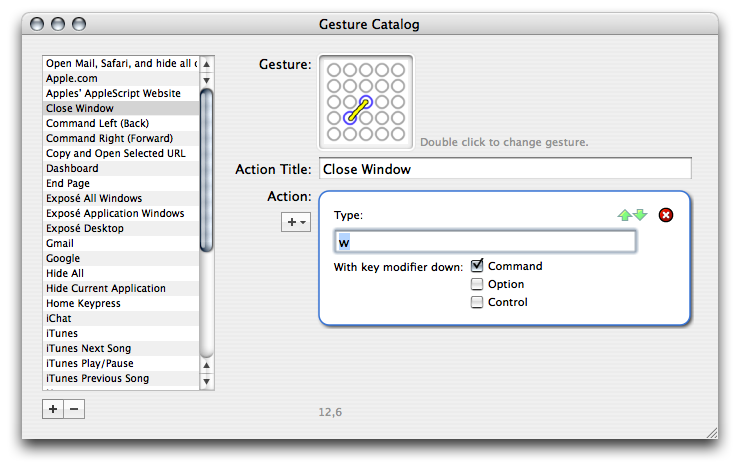 Moving your mouse through the guides lets FlyGesture know what action or actions you want to be performed, such as closing a window or opening an application. Not getting it? 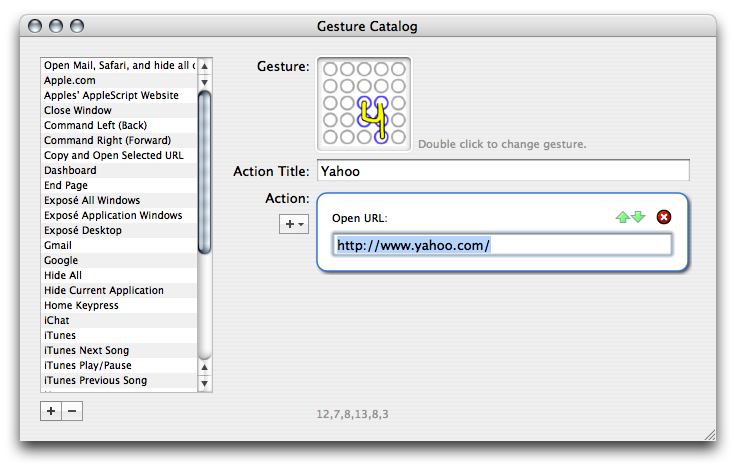 Here's a movie that demonstrates creating and using a new gesture to open Safari. FlyGesture isn't a one trick pony. 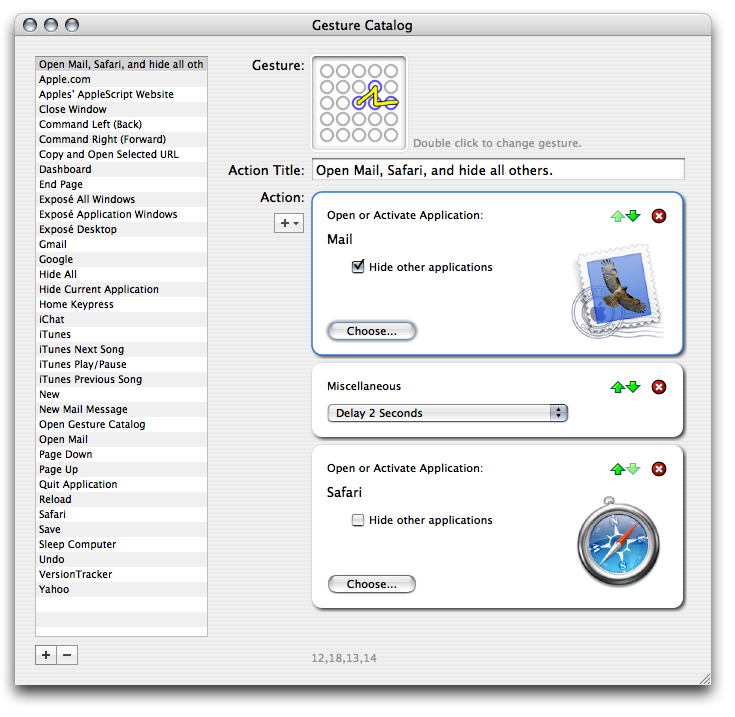 In addition to actions like "Open Application", FlyGesture also comes with actions to type text, call command keys, open files or folders, open websites, run Automator workflows, run custom AppleScript, and various other commands. Copyright © 2004-2015 Flying Meat Inc.